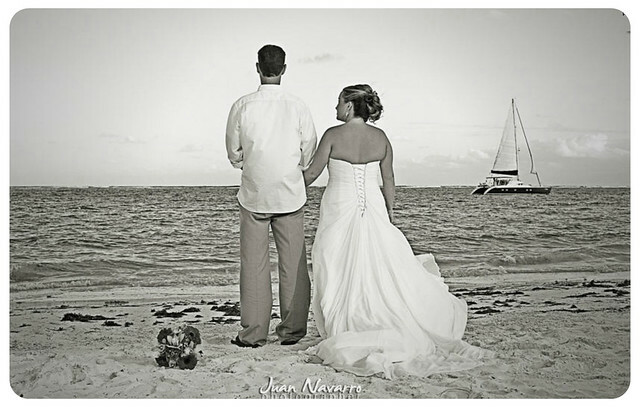 Katie and Jeremy wed at the Azul Beach Resort! The wedding was great, although Jeremy was being nice when he described the weather. It was literally a monsoon and very far from the beach wedding we had planned. It was a big bummer. That being said, the wedding coordinator at Azul was phenomenal. She felt really bad and did everything she could to make it special and, of course, there was nothing she could do about it. The back up, indoor venue (couldn’t do their back up lobby because it was flooding) was alright. Nothing to write home about…long story short, it was nothing that we expect but it was still perfect. As far as Azul beach goes, it was great. Our siblings, who brought children couldn’t stop talking about how family friendly it was. Personally, I loved how small it was because it made us feel like we were always all together (although I’m sure that wouldn’t be perfect for everyone), which is exactly what we were looking for. Their food was phenomenal and their service was great. I absolutely loved our suite. Their spa was also great and Veronica (who did my hair and make up) was top notch. I would definitely recommend her to anyone. She did exactly what the picture I brought showed. Really I only have two negatives. The first being Erika. I wasn’t really that impressed with her. Although she did everything that I asked, she was very slow to respond. She often took over a week to answer my questions. I would ask her to call and she didn’t, and in the end, I ended up calling her. She did get everything done (which really wasn’t much) but I just wasn’t impressed with her responsiveness. But, like I said, the onsite coordinators were absolutely amazing. I LOVED them. The only other negative would be how small the beach area was. I know I was told that before, but it was still smaller then I had expected. 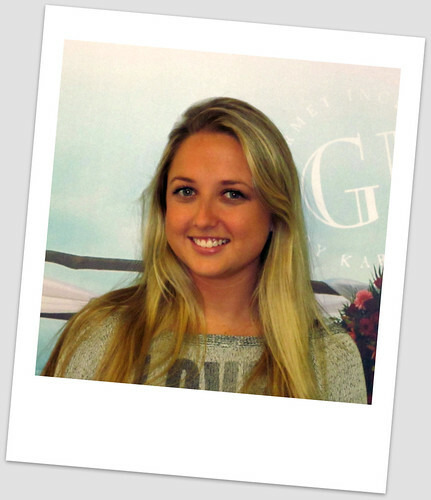 Hello Amanda and thank you for taking time out of your busy schedule to chat with us today! 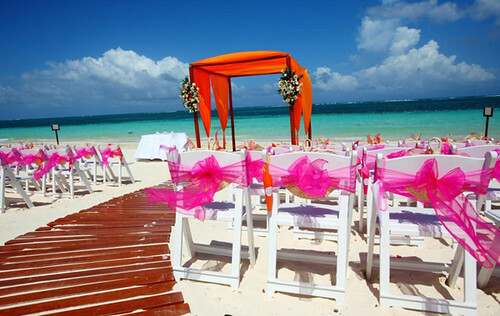 So how long have you been helping plan dream weddings for the Azul Hotels? Working with the different brides and helping them pick out their bouquet, menus, entertainment and everything that goes along with a perfect wedding. It’s really nice to work with all different types of brides and agents. I’m definitely a girly girl, so helping to plan each woman’s perfect wedding melts me every time!! What are some of the most fun/memorable weddings you’ve helped plan? 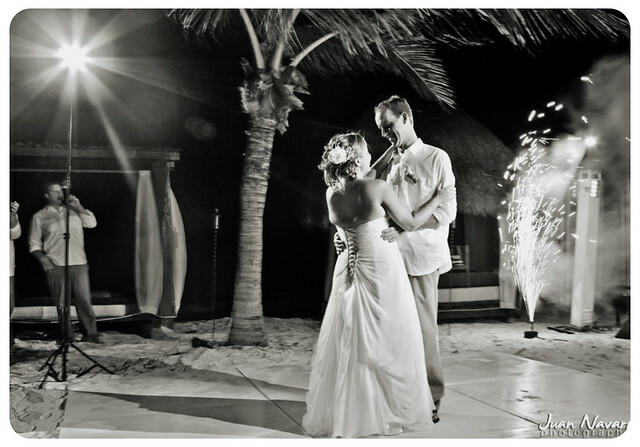 One wedding that I planned recently were married at Azul Beach Hotel. The couple was so sweet and down to earth. They ended up sending me the wedding video after they returned home and it was probably the best video I’ve seen! I definitely wanted to be there because it looked beautiful and everyone looked like they had a blast. How do you feel about wedding favors/gifts? I think it’s a nice gesture when bride’s bring them, especially for a destination wedding. It’s saying an extra “thank you” for flying to Mexico and joining in on the wedding celebration. A lot of my bride’s have gotten really creative with a destination wedding gift bag. Being in a tight economy right now, would you suggest an area to cut costs or downsize? I would suggest cutting down on ceremony decorations because the ceremony is only 25 minutes in length and the scenery is already breathtaking anyways. I would put that money into a private reception with great food and dancing. Our wedding packages also include a semi private dinner for the wedding party, so this is perfect for wedding couples on a budget that still want a nice, sit-down dinner with their family and friends. Is there anything new and exciting going on with Azul weddings? There’s always something new and exciting going on! We always have great promotions like the Free Wedding Package or the Bride and Groom Stay Free Promotion. Nothing is impossible for us to do, so depending on how creative you want to get for a wedding, we can accommodate it. If you were to give some tips or advice to a soon to be bride, what would it be? 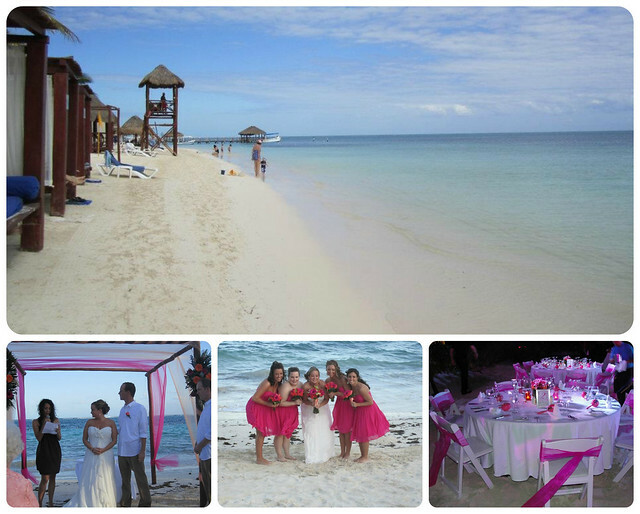 I would suggest that the bride visits the Azul properties… they really speak for themselves. Each bride has different priorities, so I would suggest figuring out what yours are and go from there. Some brides really want a low key wedding, others want something elaborate. I always say to make a list of “must haves” and find the resort and wedding package that allows you to plan your perfect wedding. Everyone’s version of a perfect wedding is different and the Azul properties are really great at molding to each bride’s needs. Again, thank you for all that you do and know that we simply adore you and the entire Azul Wedding Team. Attention brides to be: When calling to set up your consultation with a Wedding Consultant at Legacy Travel be sure and ask about the special gifts that you receive when wedding at one of the Azul Resorts. We had planned on doing a destination wedding for many reasons. I have always wanted to get married on the beach and to do this in MA where we live, the cost and work that would have to go into it, wouldn’t have been worth it. We also love the idea of going on vacation with our closest friends and family. The final reason to do a destination wedding was the cost. It was much cheaper to go away and we got to celebrate with friends and family for 4-5 days rather than just one afternoon! The biggest reasons we chose Azul Beach Hotel was because of the reviews. Everyone had such good things to say about Karisma properties it felt like a no brainer to us. Once we decided on Karisma, Azul Beach was a shoo in because of the intimate size and the beautiful beach. Getting all of our stuff down there for the wedding itself. Other than that, reading the reviews and dealing with the vendors via email made it a lot easier than all of the other brides I know. The highlight of the experience has to be the service. From the minute we arrived, everyone that worked there knew we were getting married there and went out of their way to accommodate us from reserving beach beds for our group the whole week to taking the liberty to bring us snacks on the beach for us, even when we didn’t ask. It was amazing. The biggest surprise has to be how really beautiful the whole resort was. Every detail was just amazing. We loved the lunches on the beach and the Azul Swim up suites were incredible! My off site coordinator Lizzie was fantastic and Celina was great to work with on site. She had each detail of the wedding day completed perfectly. The set up and flow of the entire event went perfectly. Do what you want for the day. It’s your day and you should have it how you like it, not how Grammy wants it. I wouldn’t have changed a thing. It was perfect. To see more pictures click HERE.